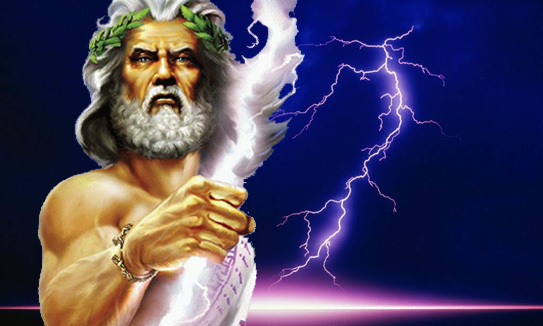 Jupiter is the Roman name for Zeus the Greek God. Although Jupiter is considered a planet of the Soul, on the exoteric level, Jupiter can be problematic. Jupiter was aggressive, tended toward hedonism and a wonton way with life. As a result, Jupiter, on an exoteric level, in one’s chart can pose more problems than bring benefit. Ponder aggression regarding your Jupiter. For example, Jupiter in Capricorn can express as ruthlessness which might not be directed at others but within oneself and an internal state of competition driving oneself no matter what. Jupiter in Pisces can demonstrate in bullying, though one might not think so. One might assume that Jupiter in Aries will demonstrate as such – and that could be so. However, Jupiter in Pisces can take advantage of the underdog or of the downtrodden. Jupiter ruling Sagittarius reminds us of the centaur nature of Sagittarius. The lower nature, the horse, could be the more prevalent expression in contradistinction to the higher nature the mind. It is the fact that Jupiter is large and expansive that makes possible the expanded nature of Jupiter and what it implies. Jupiter rules the sky and was the king of the Gods. This indicates the largess of the influence of Jupiter through its sign and house. Jupiter in Sagittarius is a call to mindfulness and to develop heed. It is the decree that the lower nature, though strong, must ultimately be tamed and trained, it must be reined in. Jupiter in Aquarius is a reminder of the interdependence of life, the shared existence that is. Aquarius rules circulation, Jupiter rules the heart. This combined energy (Jupiter in the 11th house or in Aquarius) opens doors to a wider and more productive use of one’s skills and set of circumstances. Esoteric Jupiter rules Aquarius. Aquarius utilizes the wide mindedness of Jupiter through the transformation of systems and forms. Jupiter encompasses the heart – the wisdom mind – and the ability to be a cog or agent for the well-being of a large whole. Jupiter in the 11th house, then, speaks of the capacity of the native to expand the qualities of the sign that Jupiter is in and to bring forward the beneficence that is possible from that sign. Jupiter in Aquarius describes the purpose of the Soul to be an agent of wider vision, and that this is a large part of the purpose for the incarnation. How one does that is not described by Jupiter in Aquarius, but is described by other factors in the chart. Look at the aspects to Jupiter for the theme of purpose and gifts to bring into the world through the life. Jupiter rules Virgo hierarchically and the 6th house. Virgo is the Christ consciousness brought to earth. Virgo provides ground for the lightning strike of Jupiter. The grounding of this seeds change, and this goal or orientation utilizes the highest qualities of Virgo. If Jupiter is in the six house, it is dignified. This can tend to bring good health but can also bring a tendency toward weight. Traditionally, Jupiter in Virgo can express as criticality and judgement. However, when lived on the highest turn energetically, Jupiter is the acceptance of the heart and the will to serve of Virgo. All energy, time, and resources are recognized as the harvest of previous toil and merit (previous lives) and are lived as an ongoing offering of doing what needs to be done such that the seed-Christ or Buddha nature is the ongoing harvest in the world. This entry was posted in Astrology, Esoteric psychology and tagged Aquarius, heart, Jupiter, Sagittarius, transformation, Virgo. Bookmark the permalink.